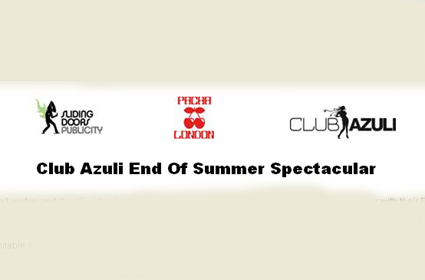 Azuli are celebrating the end of summer with a party at Pacha in London on Saturday 13 September. Playing his first London date this year, Cedric Gervais will be on the decks. A 'dj to save your life', Seamus Haji will also be playing. Azuli head honcho David Piccioni will also be dropping some tunes with Ben Gomori completing the line-up. Pacha is open 10pm to 5am and tickets are available in advance from clubtickets.co.uk.